Photo of the ISS captured from the shuttle Endeavour in July 2009. According to Mack’s article NASA has yet to issue any statements on the matter. Now before we can claim discovery of aliens (even teeny-tiny microscopic ones) we need to establish where they came from. Considering our planet and pretty much everything and everyone on it is covered/filled with a veritable zoo of microorganisms, the likeliest answer is that any bacteria found in low-Earth orbit are, in fact, from Earth. Bacteria have been found living not only miles underground but also miles up in the atmosphere. 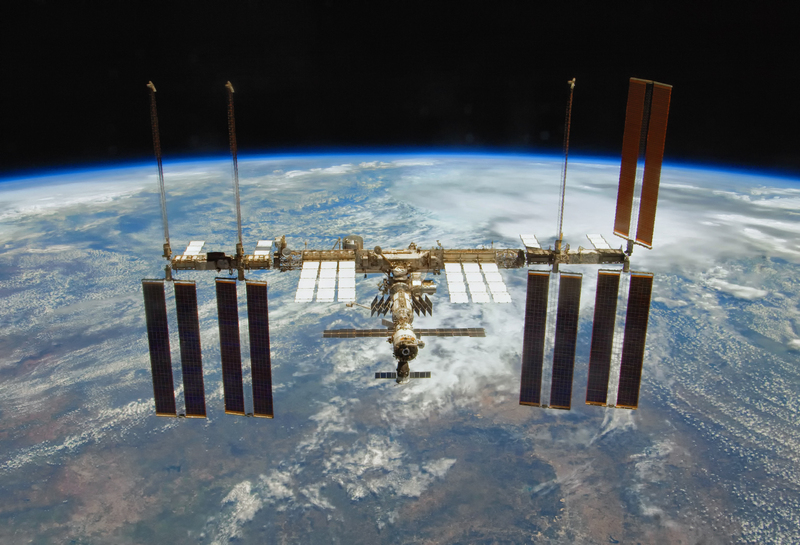 Is it possible that some species of microorganisms could also be drifting around in the microgravity environment of low-Earth orbit, impervious to the drastic temperature changes and airless, pressureless, radiation-rich environment of space? Well, sure. It will be interesting to find out what sort of creatures Shkaplerov actually found hitching a ride on the ISS in 2014. Perhaps future experiments can collect more samples—he’s heading back up to orbit this December. Maybe the bacteria they found are just an unidentified species of a terrestrial strain, or perhaps even a new, as-yet-undiscovered species that exists solely in the uppermost layers of the atmosphere (which actually extends out to about 300 miles…even farther than where the ISS orbits.) But true extraterrestrial “alien” life forms? I for one will remain skeptical. Source/read more on CNET here and from TASS here. There are so many unexplained phenomenon on the ISS, near the ISS, there must be life interested in what we are doing in space. There are still mysteries from the moon landings (moon pigeons, for example). Their is life out there, no doubt. We have to grow up already. It’s time for Childhood’s End.